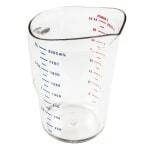 The Cambro 200MCCW135 Camwear® measuring cup has a 2-quart capacity and a heavy-duty, clear polycarbonate construction that will not dent or warp. Its integral handle is break resistant. It has exterior graduations that are marked in red for imperial measurements and blue for metric measurements. This measuring cup is dishwasher safe. 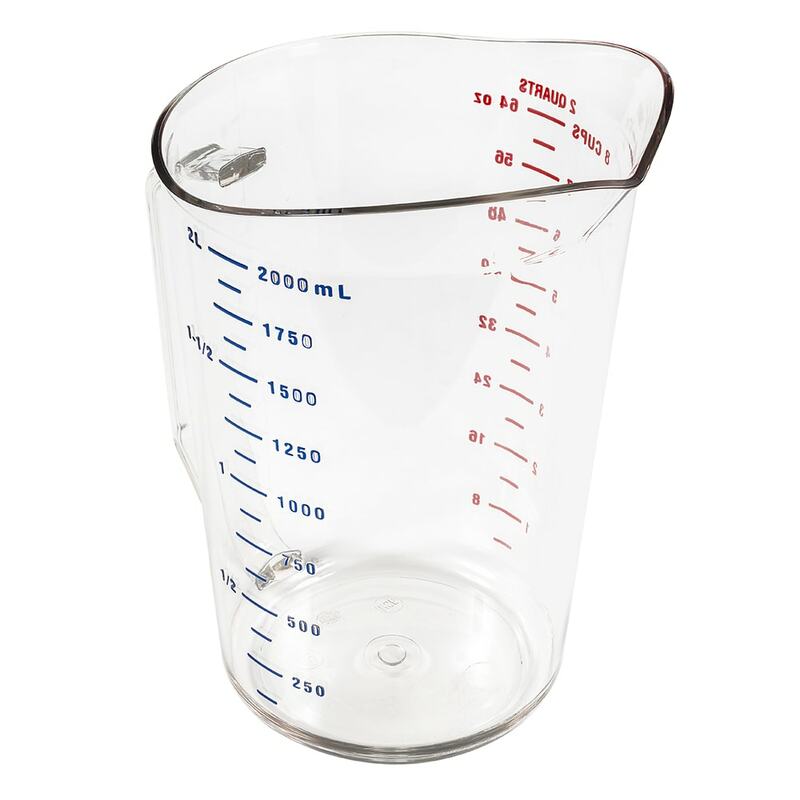 Visit our measuring cups guide to learn more.